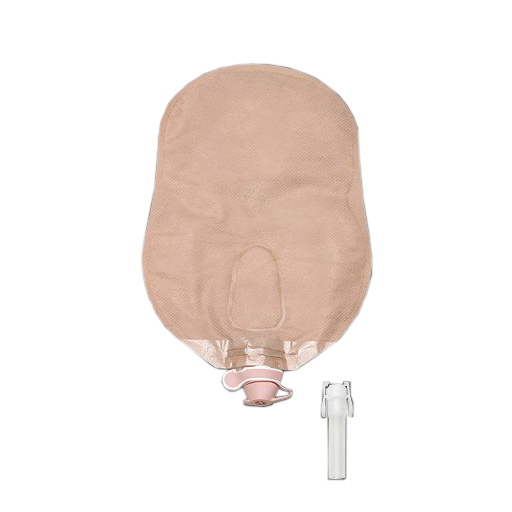 Hollister New Image Two-Piece Beige Urostomy Pouch With Adjustable Drain Valve have Multi-chamber design that results in a more balanced collection of urine, and a lower pouch profile. It has a tap at the bottom, which allows it to be connected to a bedside collector with the use of the adapter. Security and confidence assured with internal non-reflux valves and a drain valve allows regulation of flow rate.